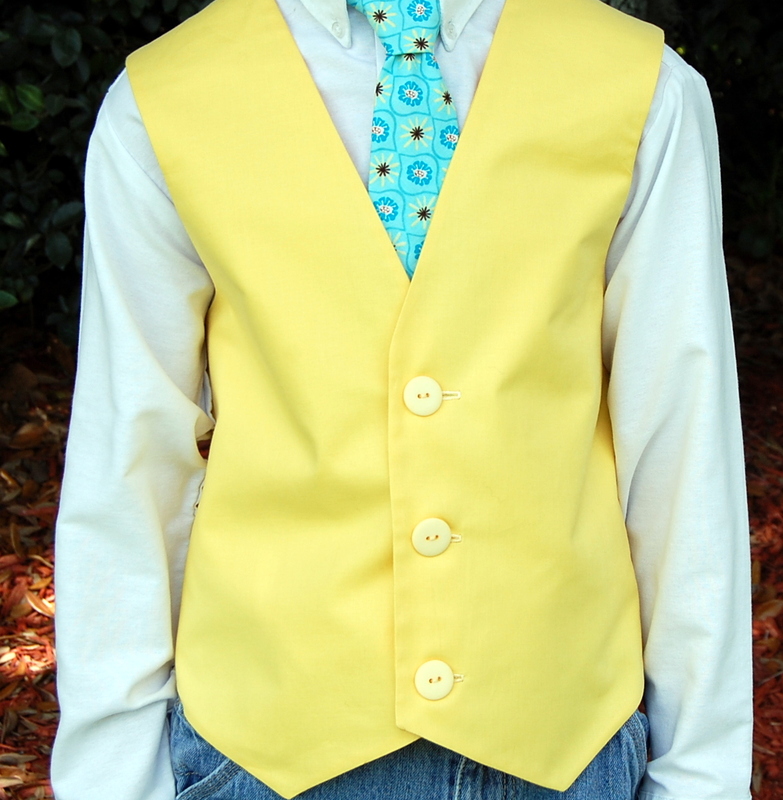 The last step to making the vest from the other day was the buttonholes and buttons. Buttons are easy. Buttonholes, not so much. And, as the very last step to making the vest, not the part of the vest I wanted to take chances with! To begin, sew your buttonholes. I have no sage advice here. 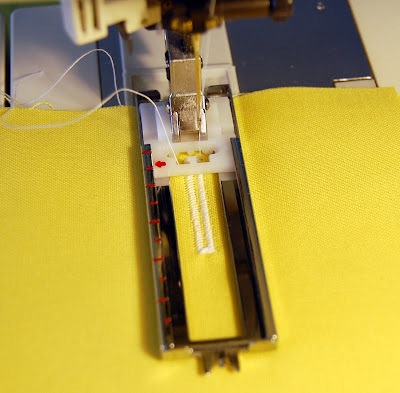 My only suggestion is to google or search for a YouTube video for your particular machine and make as many practice buttonholes as necessary. Many tailor suppliers and notions sources sell a buttonhole cutter set, containing a cutter and a block of wood or mat. I did not have ready access to a shop that I knew would carry one of these sets (rumor has it Joann's doesn't carry this product) so I, instead, went to a hardware store and purchased a simple cold chisel for about $4.50. As you can see, it has a nice point to it, not sharp to the touch but sharp when pressure is used. 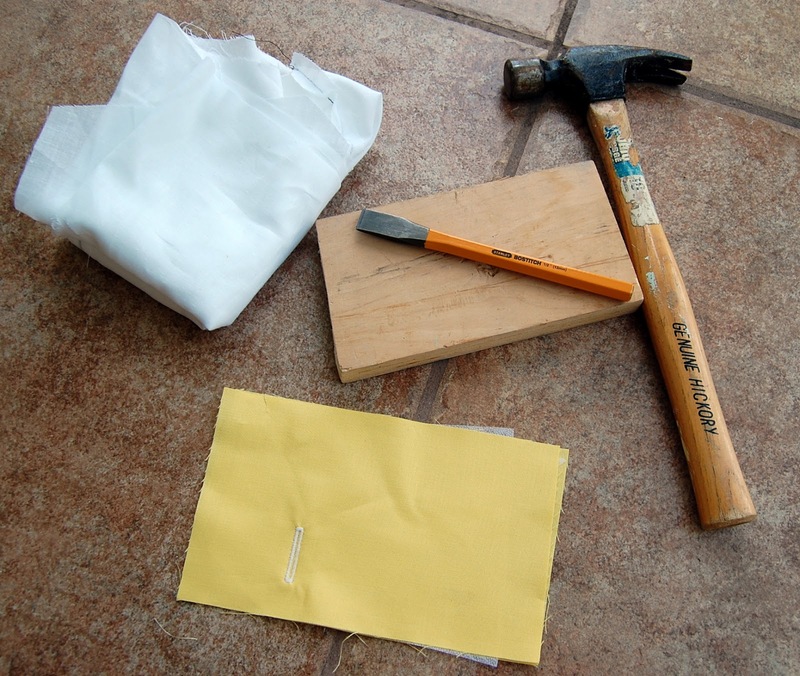 Gather the rest of your supplies; a small block of wood, a spare piece of fabric large enough to wrap around the block of wood, and a hammer or mallet. Wrap the cloth around the block of wood. Wrapping the bottom will protect your floor, wrapping the top will protect your fabric. 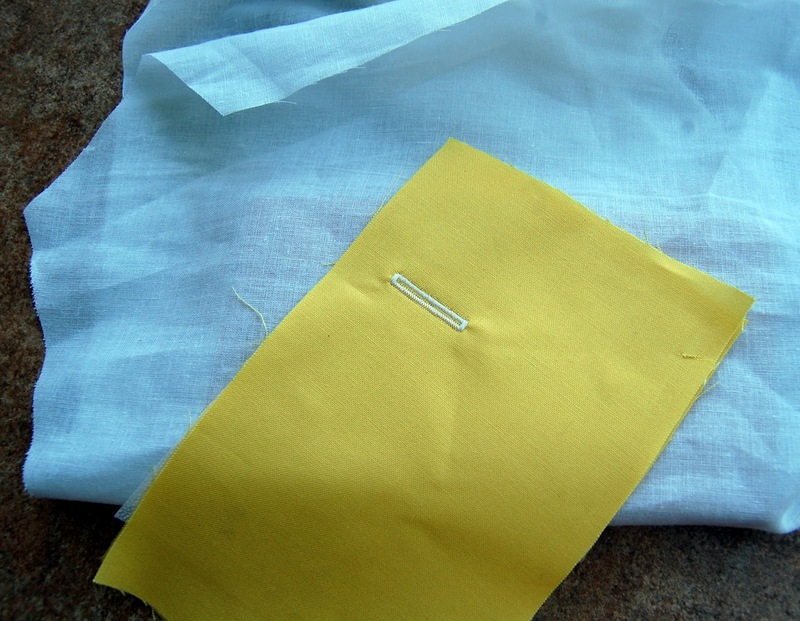 Place the buttonhole to be opened on top of the cloth covered wood. 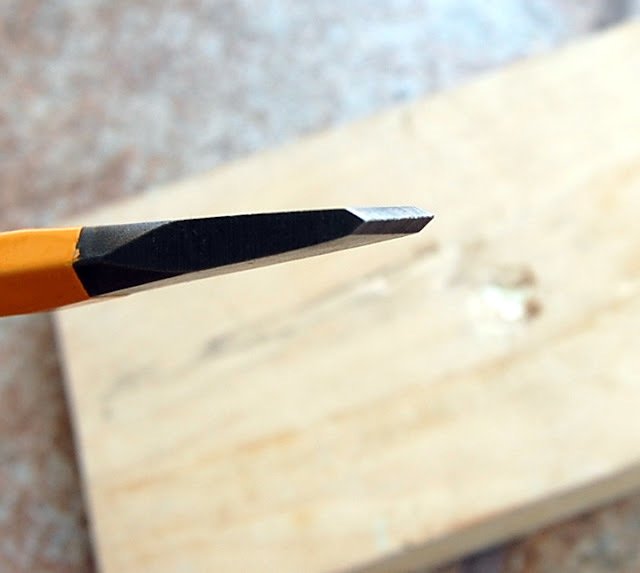 Center the chisel over the area of the buttonhole to be opened. Because the sides of the buttonhole are raised from stitching the chisel wants to be right in the middle and will naturally go there, avoiding the newly sewn threads. 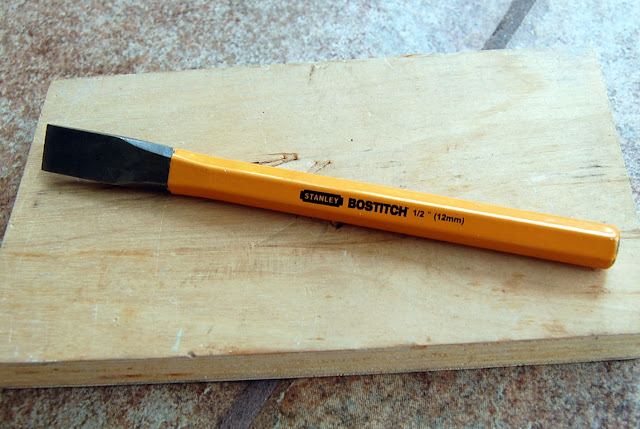 Hold the chisel vertical, perpendicular to the wood and buttonhole. Hammer the top end of the chisel a few times with some good solid whacks to cut the fabric and create the buttonhole opening. Move the chisel down the buttonhole and hammer again, repeating if necessary until you've opened the entire buttonhole. 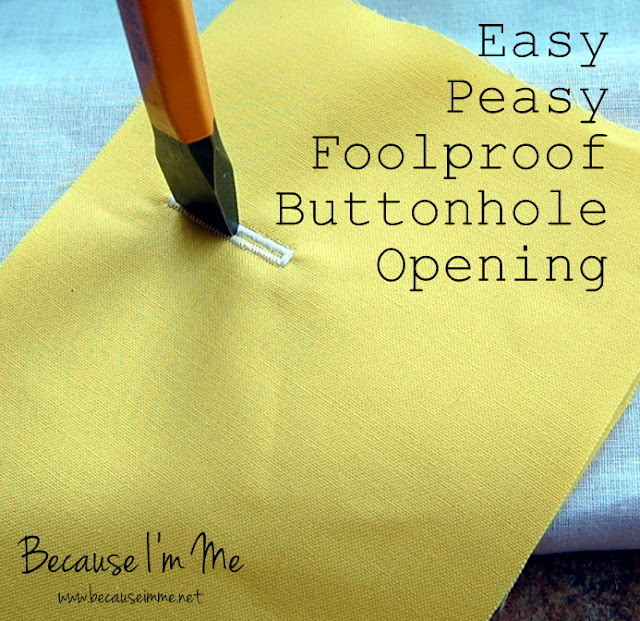 Voila: Perfectly opened buttonhole! Great job. On occasion, your buttonhole opening will be smaller than your chisel. To easily solve this, instead of laying the buttonhole flat on the wood wrap it over one edge and hammer the chisel through a portion of the buttonhole, then turning it around to finish the buttonhole. 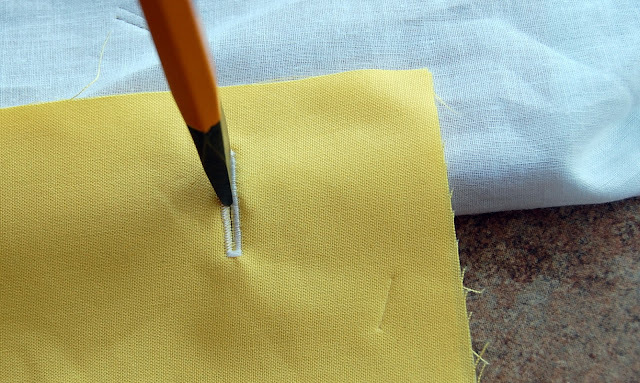 Step back, smile, congratulate yourself, and marvel at your brilliant buttonholes. Wow! You make this look so easy! Thanks for sharing this tip/trick! 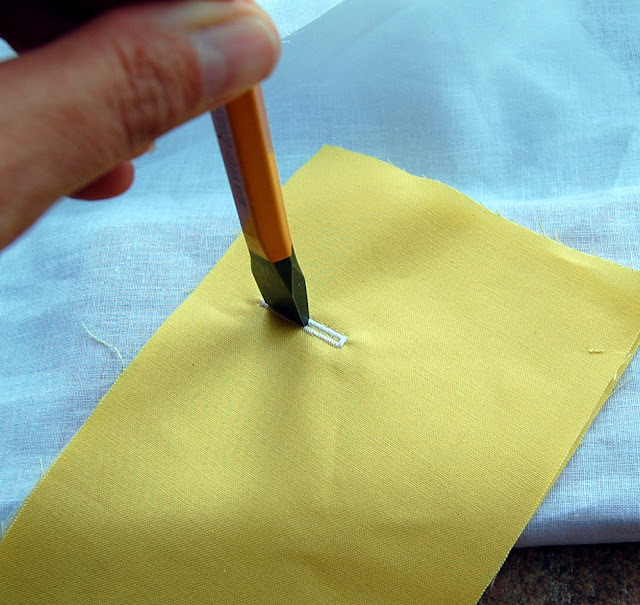 I was taught to use a seam ripper. To avoid problems. Start at one end of the button hole and move towards the center. 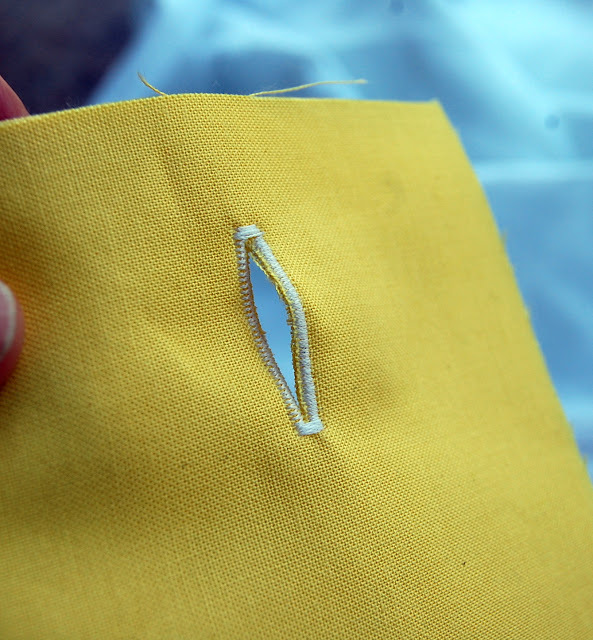 Then go to the other end of the buttonhole and move towards the center again.